I can't be more happy! Spring is finally here! I know that for sure, even if, according to the calendar, it is still not spring. We have to wait one more week for that. But that is not important. The only important thing is my outdoor thermometer shouting at me! 15-20C!!! And it has been shouting this since Saturday. I feel the energy entering my body. The so much needed energy. Sometimes, I ask myself why do I live London, when I so much love and need the sun? I know, there are places in Europe, where the snow is still falling. So I am very grateful. I love spring green colours. These fresh and vivid greens shades represent growth, harmony and energy to me. I feel, I need such colours in my kitchen too. 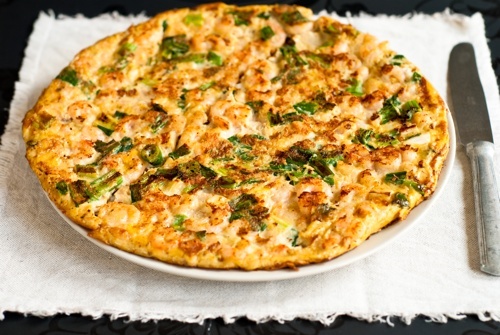 Lovely light and colourful prawn and spring onion frittata satisfied my appetite. I was craving an asian style frittata, so I added some freshly grated ginger and soya sauce, and finished it with a hot chilli salt. You can add any spices you like. It would be nice with some grated cheese on top too. Just follow your taste. 1. In a saute pan, heat olive oil over medium heat, add the prawns, ginger and onion. Sauté for about 2 minutes. 2. 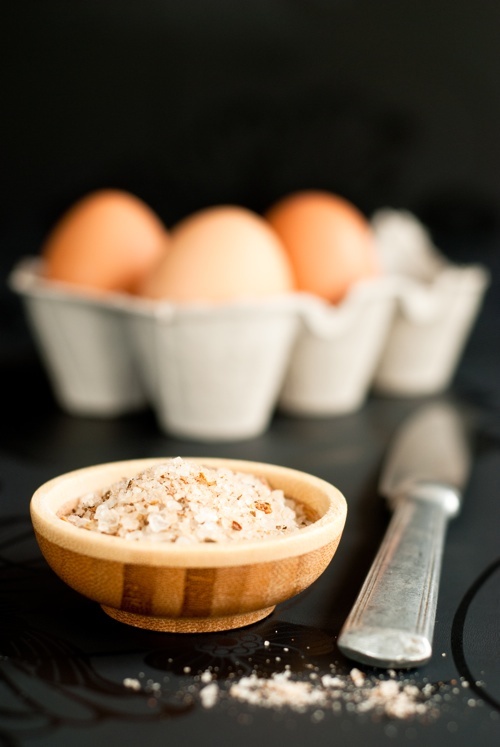 In a small bowl, mix together eggs, soya sauce, salt and pepper. Pour the mixture into the pan and cook over low heat, until the eggs are set, about 8-10 minutes. 3. 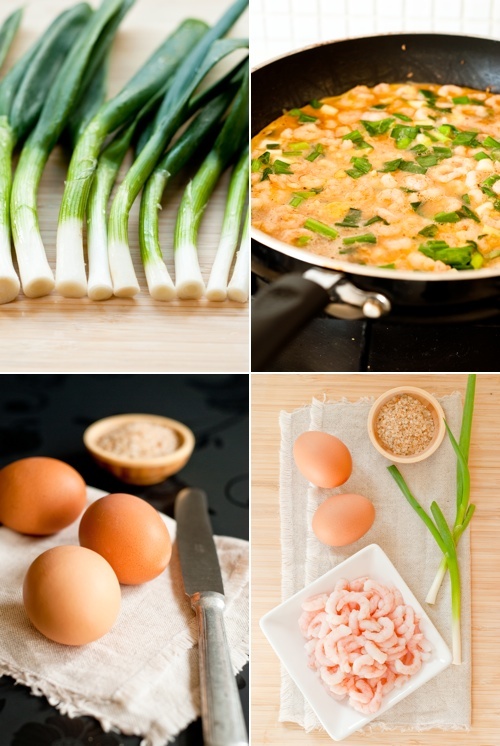 Turn the frittata over. 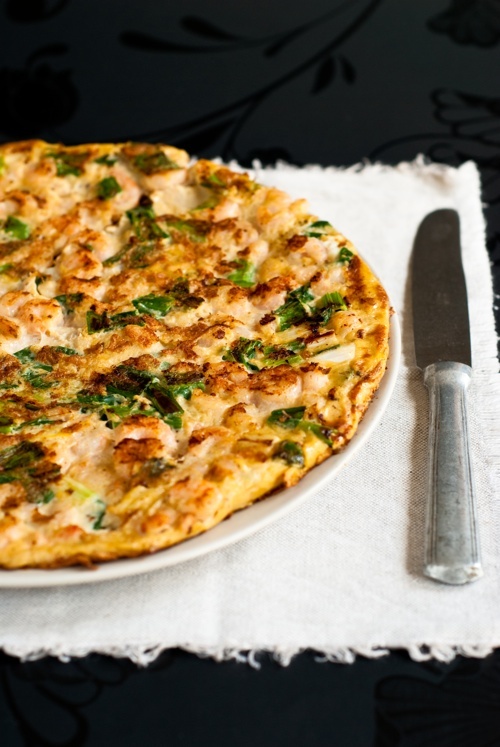 Slide the frittata carefully on to a plate. Put the pan on top of the plate and turn the plate up side down so that the frittata falls back in to the pan. Cook for a further 4-5 minutes. 4. Slide the frittata out of the pan on to a clean plate and serve.